AVS brand, plug and go wiring harness. Plugs directly into any AVS ARC-7 or AVS ARC-T7 switchbox and Accuair's VU4 manifold valve. Also includes accessory wire to provide switched power to your compressor's relays/solenoids. Remote fill and dump wires for your AVS ARC-7 switch box are also included in the harness. Looks and works just as described...two thumbs up!! 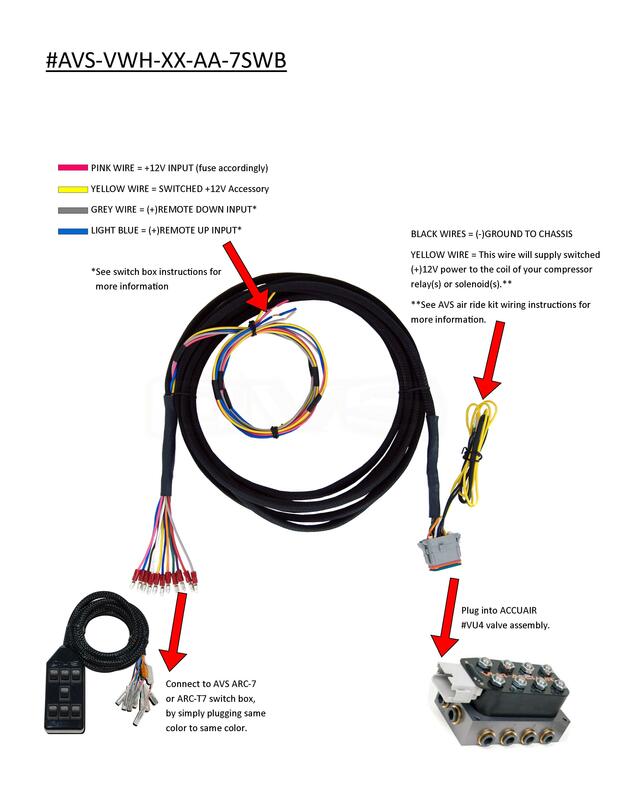 Click the button below to add the AVS VALVE WIRING HARNESS 10', 15', 20' - ACCUAIR VU4 VALVE TO AVS 7-SWITCH BOX to your wish list.